One of the first things on your list to celebrate the season probably includes decorating your house, too. 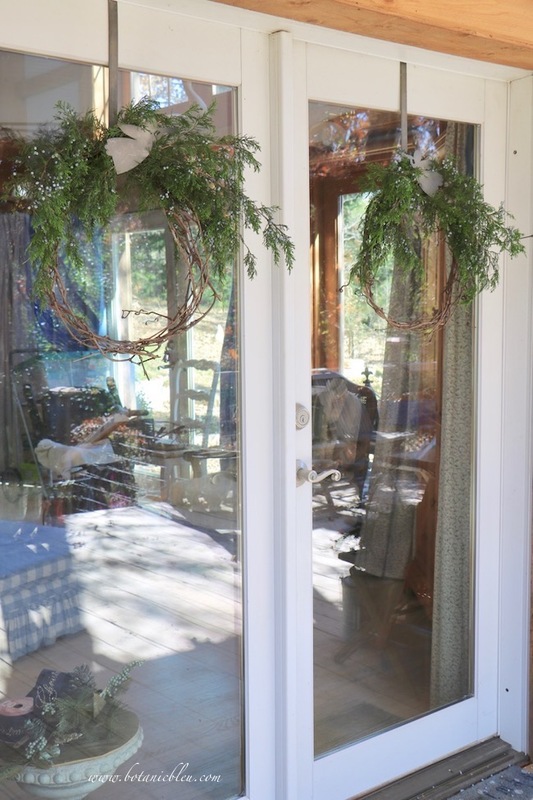 If you are looking for some ideas for how to decorate your porch or door for the holidays, you are at the right place. 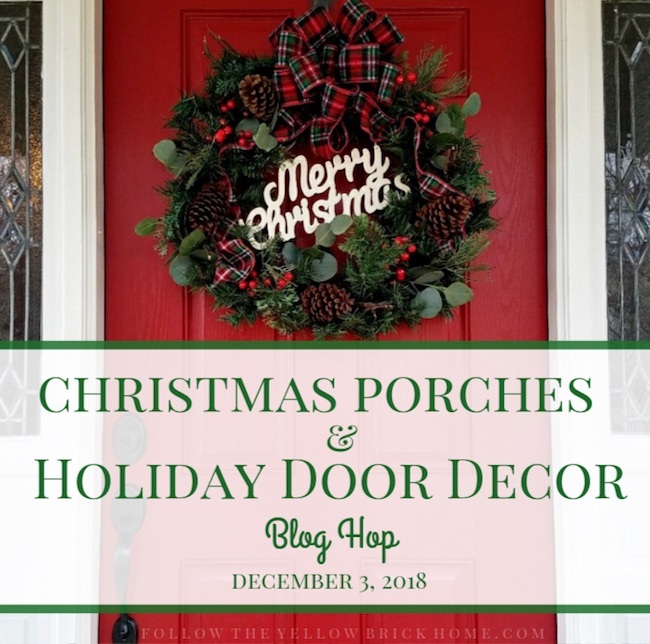 Amber at Follow The Yellow Brick Home is hosting a fantastic Christmas Porches and Holiday Door Decor Blog Hop with twenty-one creative bloggers sharing their seasonal porch and door decorating ideas. Links to everyone are at the end of the post. If you coming from Katie at Let's Add Sprinkles, welcome. 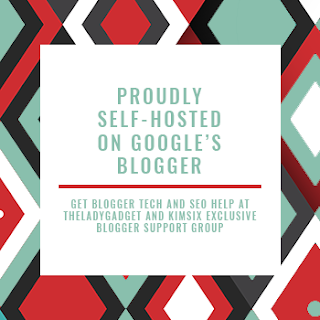 Katie is one of my dear blogging friends who lives within twenty minutes from me. I not only enjoy visiting her blog, I get to visit with her in person! 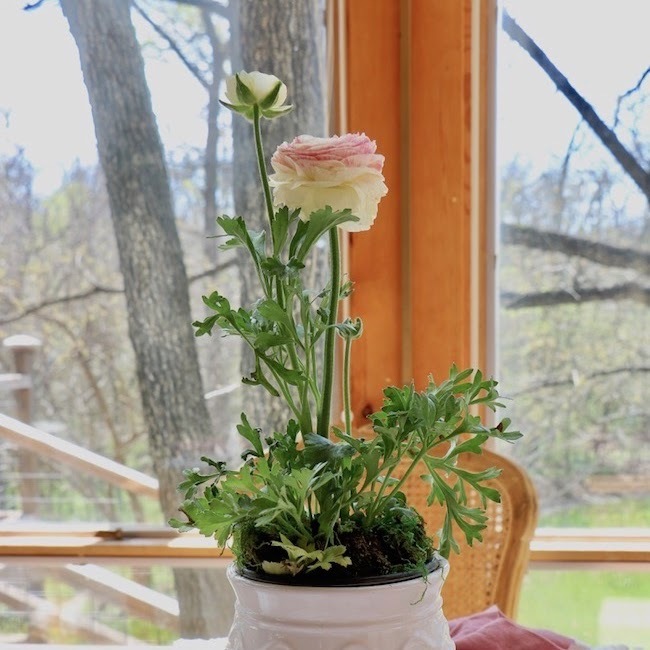 Traditional greenery for decorating houses has long been greenery found in gardens and the countryside. Holly, ivy, mistletoe, and evergreen trees are favorites to dress houses, churches, and businesses for the holidays. One advantage of using natural greens instead of faux greens is natural greens are often FREE, found right in your yard, neighborhood, or local garden center. You may not have the traditional big four natural greenery favorites (holly, ivy, mistletoe, evergreen tree) growing in your garden or in your area, but you probably have some evergreen plants that will work just as well. Dwarf Yaupon holly and English ivy plants are staples in containers on my back porch. They were selected because they are evergreen plants that do well in north central Texas. When all the deciduous trees loose their leaves, these plants provide some much-needed green during the bleak winter months. Since these plants are part of my everyday landscaping they are free Christmas greenery that are not purchased solely to decorate for the holidays. However, whenever I choose plants I do think about how they will look all during the year. The large ivy plant is trained to grow in a cone shape. 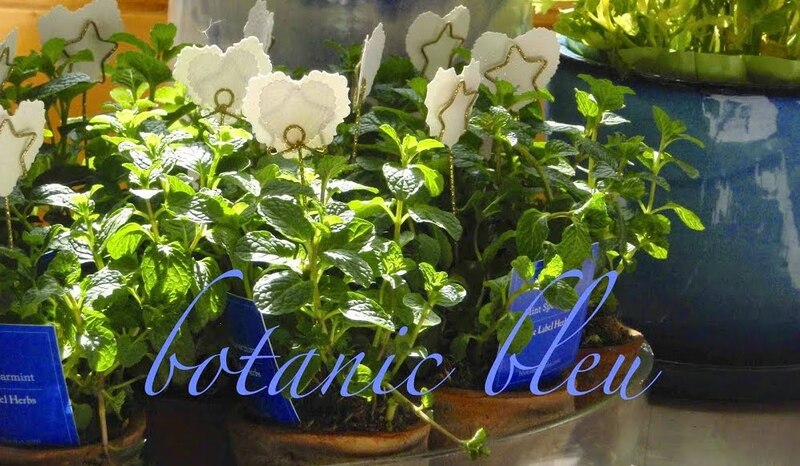 As long as the plant is well watered it will survive the low temperatures during the winter months. Horse apples, a common name for the fruit of the Bois d'Arc tree, are native to the Southeastern states in the USA as far west as central Texas. I gather these large pebbly green fruits after they fall to the ground. There are several trees in my area that are along the roadside right-of-way where I can safely park my car to gather the fruit. Watch for other natural fruits and berries in your area. Red holly branches are another source for roadside greenery that grows along fence rows in my area. The native holly trees are really large shrubs that loose their leaves and have bright red berries on their bare branches. 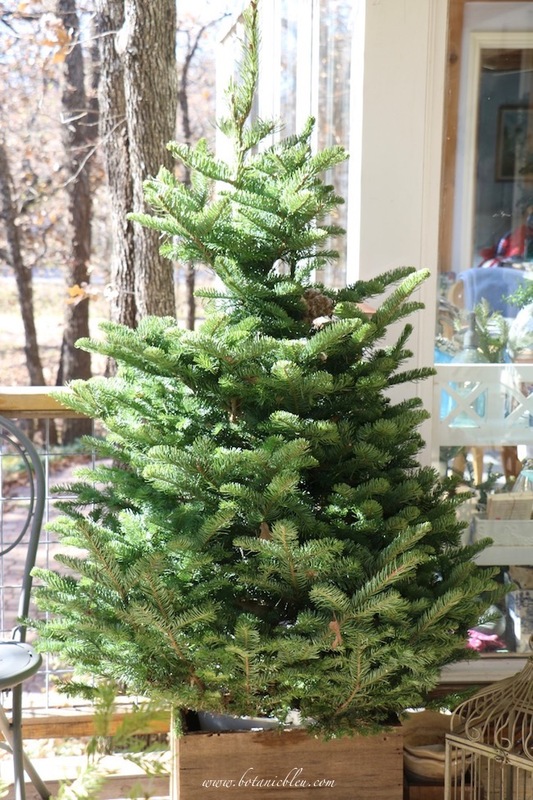 Both Home Depot and Lowes give away the branches they trim from Christmas trees. Just ask to take the cuttings. Remember to take the branches trimmed from your fresh Christmas tree, also. 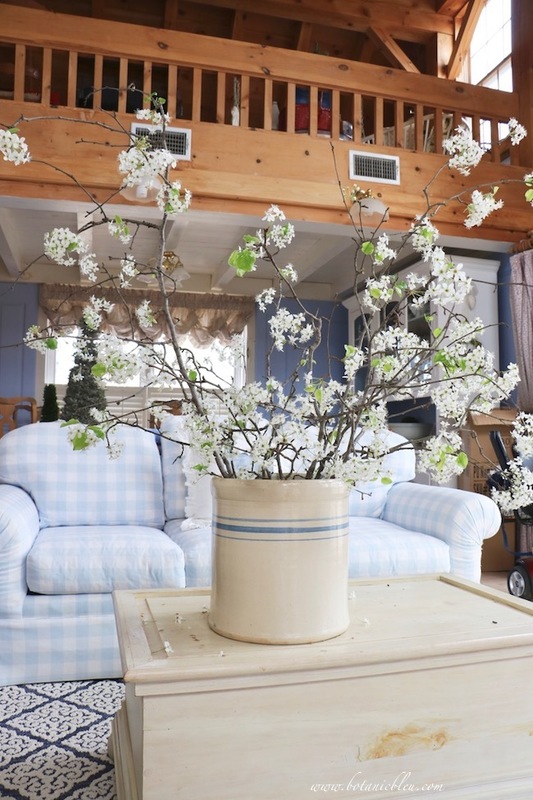 Keep your fresh tree and tree trimmings outside in buckets of water until you are ready to use them. I used Frasier fir in the vintage canning jars and Nordmann fir as the base under the horse apples. 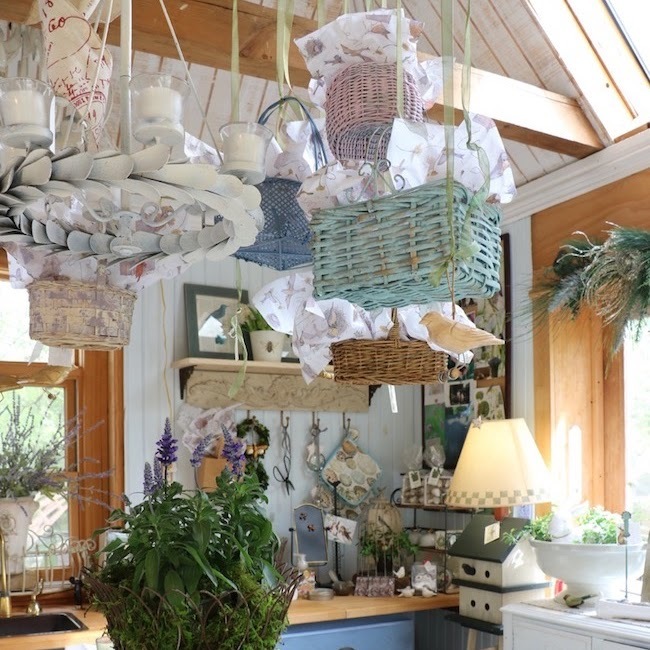 Both the canning jars and large urn hold water to keep the evergreen cuttings hydrated. In addition, the low outside temperatures and high humidity help keep outdoor greenery fresh. 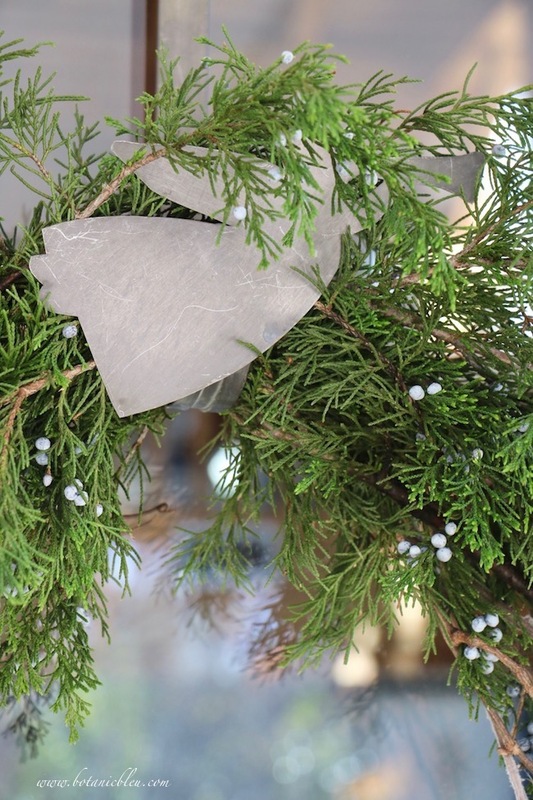 Tie a sprig of Christmas tree branches to lantern handles. When the evergreen branch dries out, replace it with a fresh one from your bucket of tree trimmings. Use ribbon that can withstand wind, rain, and freezing temperatures. 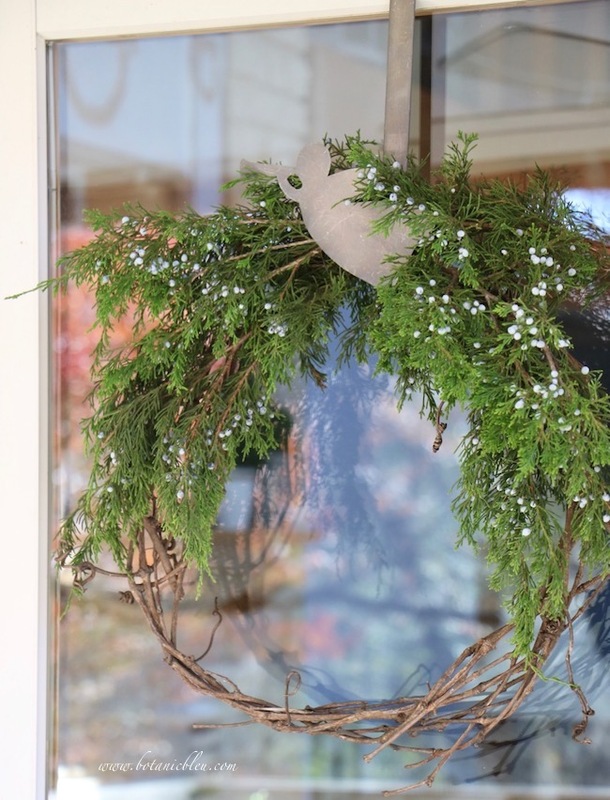 Native grapevines make a good base for door wreaths. If you do not have a source for free grapevines, you can find inexpensive grapevine wreaths at craft stores. Remember to use any coupons to lower the cost. Both juniper cedar with blue berries and incense cedar with yellow berries grow wild in my 2-acre country yard. Some years the incense cedar blooms and some years there are blue berries on the other cedars. This year there are blue berries. The door wreath hangers are made from tin and have angels which are the focal points on the hangers. No ribbon or bow needed. 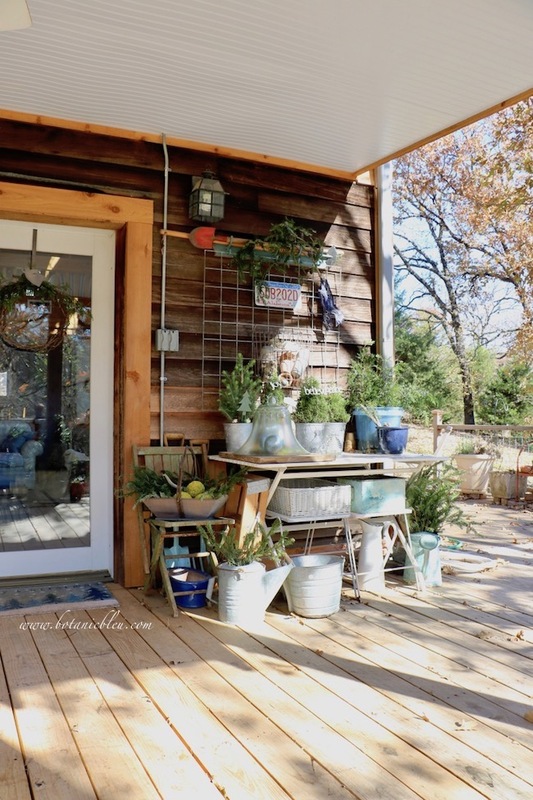 The potting bench on the back porch is decorated for Christmas with natural greenery. 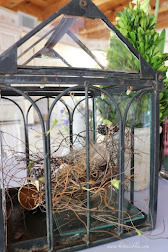 Later this week I will share details of the potting bench decor. 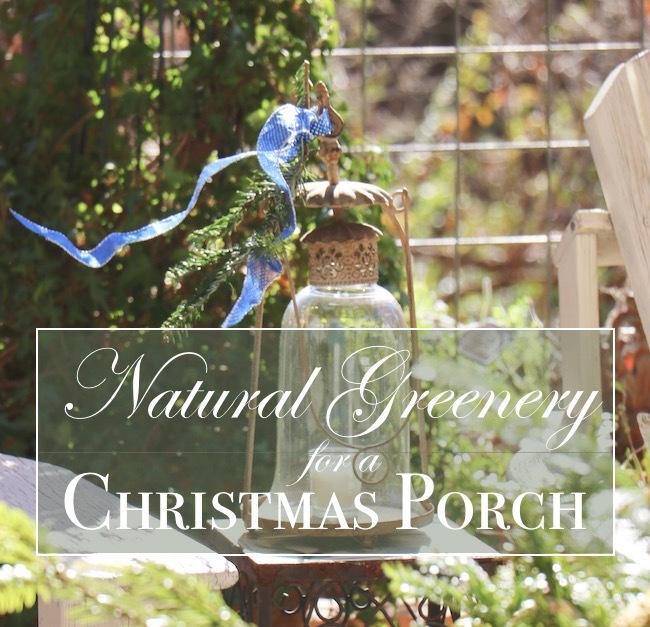 Free natural greenery from your yard, the roadside, and your local garden center are great sources for creating beautiful Christmas porch decorations. Next up is Michelle at The Painted Hinge. You are going to love her farmhouse Christmas ideas. 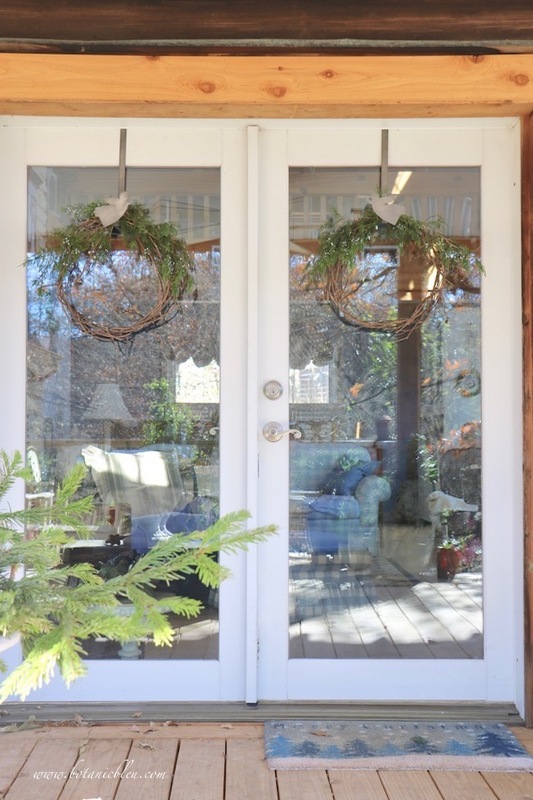 Be sure to visit all the links below for more ideas to create beautiful porches and front door Christmas decorations. 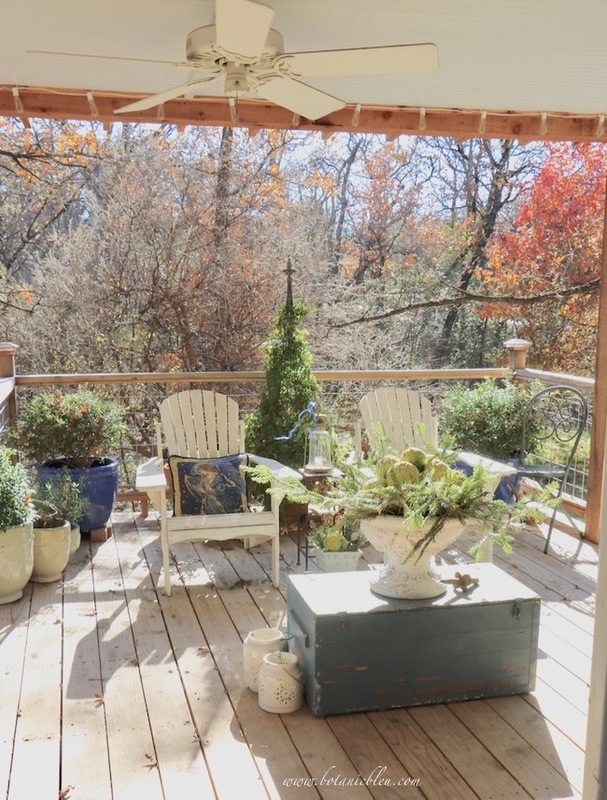 What a lovely deck area Judith! You have inspired me to go back to our local park and pick up some horse apples that had fallen to the ground. I love the angel pillows! Really good tips Judith! I love using natural greens at Christmas! 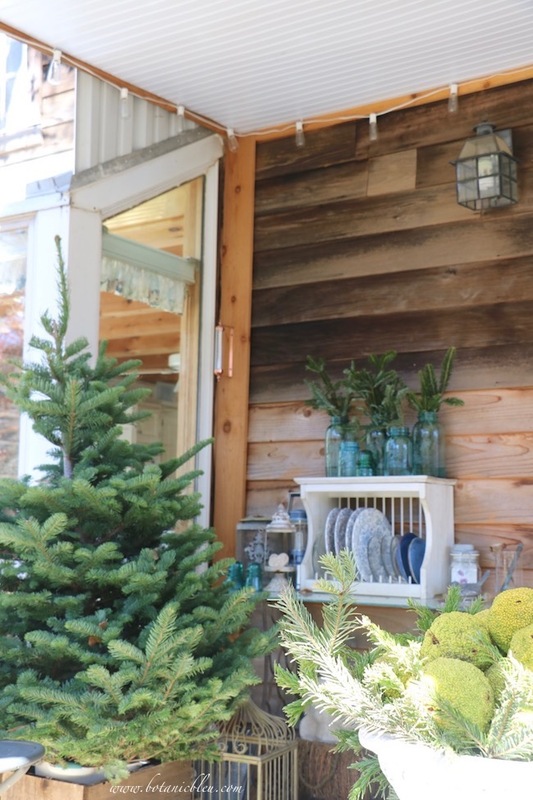 I just love all of the natural greenery on your festive porch! I picked up some tree trimming from my local Home Depot also. I planned to make a few wreaths, but time has eluded me. So fun to join you on this porch hop! Happy Holidays!! Judith I love your back deck. You have created a beautiful outdoor space. I would love to sit out their with a cup of hot chocolate. It is beautiful! We cut down some blue cedar at my brother's ranch this year. It was my husband's brilliant idea and I've used it everywhere this year. Your deck is just gorgeous. I love the your use of evergreens and the lesson about Texas natives. I'm going to have to try this wreath. It's the prettiest one I've seen so far this year. I love how simple and elegant it is. Love your entire area. I remember seeing horse apples all the time when I was young and now that I actually want some for decorating, they are no where to be found. Merry Christmas! Pinned! Your deck looks so pretty decorated for Christmas. I especially love your horse apples surrounded by greenery. I searched everywhere for Cedar with berries this year but here in Virginia I found none. It's crazy how some years they are loaded with berries and other years there are none. I'm looking forward to more of your Christmas decor this holiday season. I love your deck - it is so inviting! And I adore your Christmas wreaths! I don't have cedar trees, but I do have redwood trees so I'm going to make some wreaths like yours using redwood clippings. So happy to be hopping with you! Judith it is all just breathtakingly beautiful! 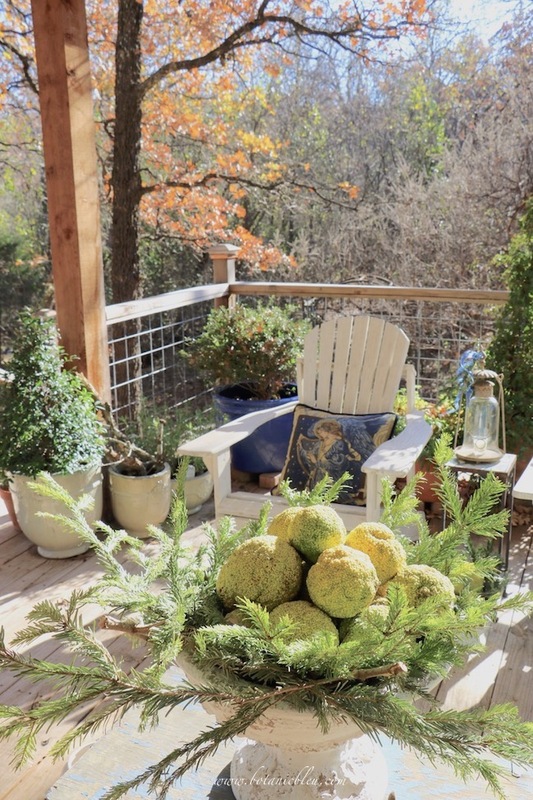 I love your outdoor space and your simple and elegant use of evergreens is so inspiring! I expected to see your front porch so this was a fun surprise! Thank you somuch for hopping with us! Joyeau Noel! I love this! All the natural elements are so beautiful! 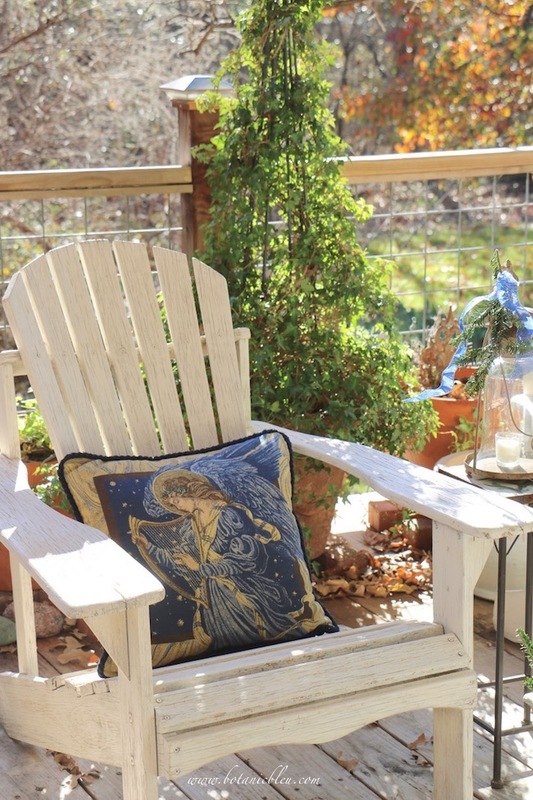 Your outdoor spaces are so beautiful. I'm a huge fan of natural greenery. So thank you for giving me more ideas of how to incorporate it on our patio. Love it all! 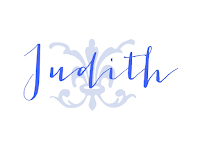 This is so pretty, Judith! I have cedar trees and horse apples in the yard. I'm going out tomorrow to recreate some of what you've done. I am drooling over those darling wreaths! They are so cute! I am a huge fan of fresh greenery too!! 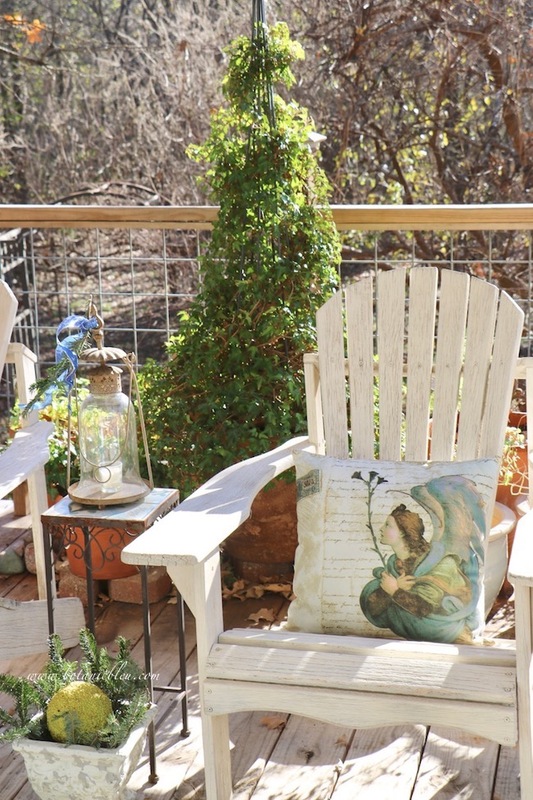 Love everything you have done to your outdoor space! So perfect! Judith, I love all of your natural and fresh greenery. 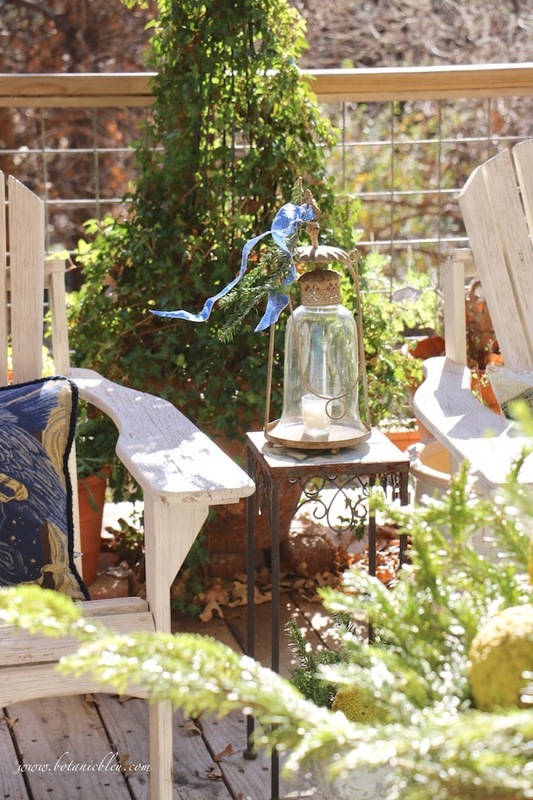 Your outdoor space is perfect and so festive for the most wonderful time of the year! 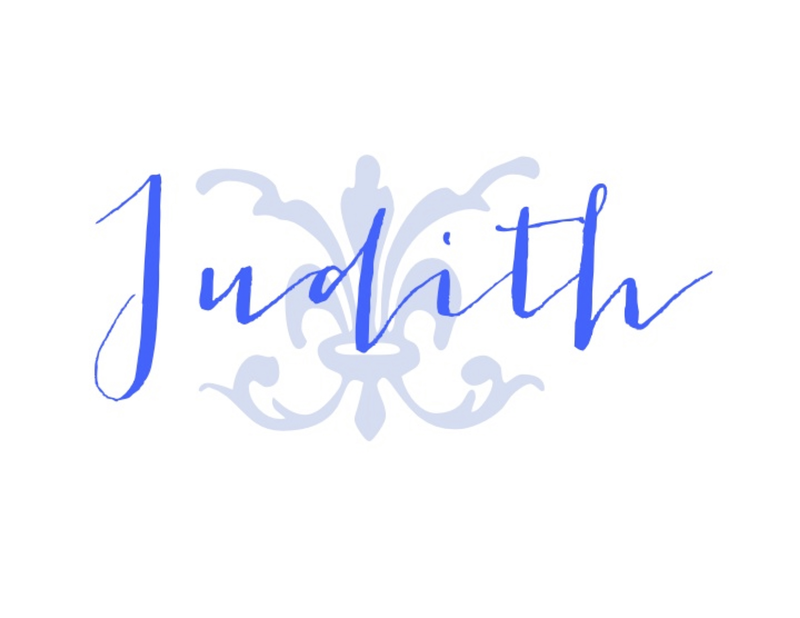 Love it all Judith, especially those wreaths! The natural elements are gorgeous!! Have a great one! Love and hugs! 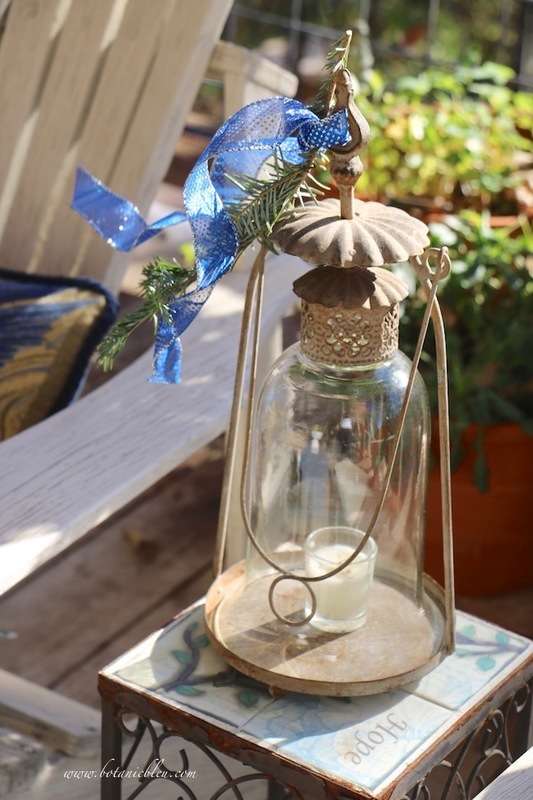 Your porch décor is beautiful! I love using natural greens. Last year I used that theme for my front porch. 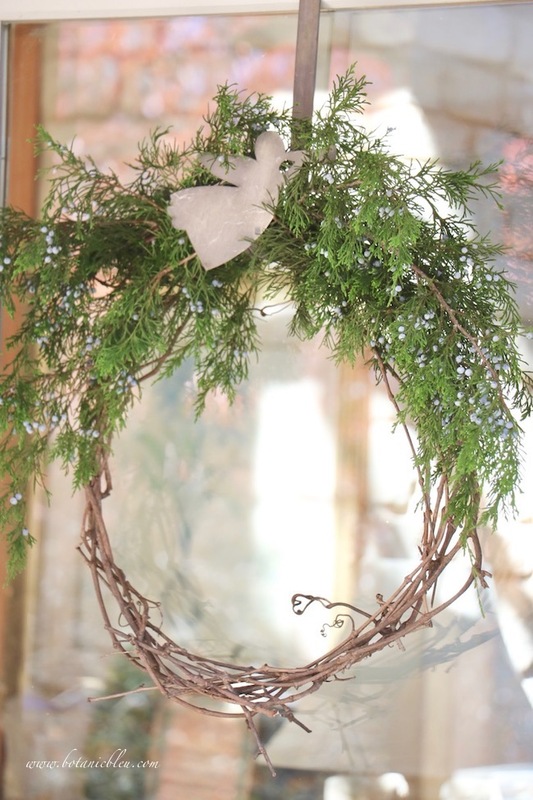 Your wreaths ae simplistic beauty! I would be a very bad guest if I came to sit on your porch. I would be looking at all the pretty details you set out and then the beautiful view from the deck. You gave me an idea for one of my plain wire wreaths. Don't be surprised if you see me post a wreath similar to the one with the angel in the center. 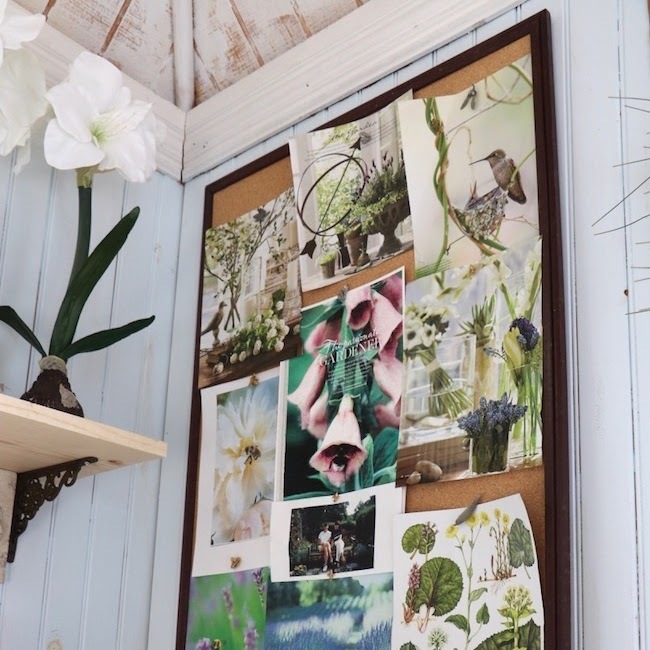 Judith, there is just something so pretty and elegant about decorating with natural greenery. You have created such stunning displays, and I am swooning over that gorgeous angel pillow! It has been so much fun being on this tour with you. Merry Christmas!! !